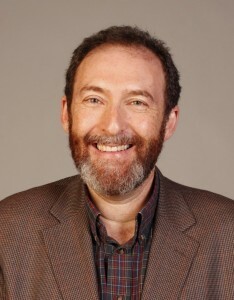 Dr. Jeff Levin, an epidemiologist by training, holds a distinguished chair at Baylor University, where he is University Professor of Epidemiology and Population Health, Professor of Medical Humanities, and Director of the Program on Religion and Population Health at the Institute for Studies of Religion. He also serves as Adjunct Professor of Psychiatry and Behavioral Sciences at Duke University School of Medicine, and as an Affiliated Member of the Center for Medical Ethics and Health Policy at Baylor College of Medicine. Dr. Levin holds an A.B. in religion and in sociology from Duke University, an M.P.H. from the University of North Carolina School of Public Health, and a Ph.D. in Preventive Medicine and Community Health from the Graduate School of Biomedical Sciences at the University of Texas Medical Branch. He completed a postdoctoral research fellowship at the University of Michigan’s Institute of Gerontology. His research has been funded by the NIH, the AMA, and private foundations. He is a member of the Society for Epidemiologic Research, the International Epidemiological Association, and the American College of Epidemiology, and is a fellow of the Gerontological Society of America. Dr. Levin has authored over 200 scholarly publications, mostly on the instrumental functions of religion for physical and mental health, general well-being, and aging. He has written or edited 11 books, most recently Religion and the Social Sciences: Basic and Applied Research Perspectives (Templeton, 2018) and the forthcoming Religion and Medicine: A History of the Encounter Between Humanity’s Two Greatest Institutions (Oxford, 2019). His current work is focused on three subjects: (a) social and epidemiologic research on religion and population health, (b) theories of healing and the work of healers, and (c) the role of faith-based initiatives in public health and healthcare policy.